The weather on Friday depended on where you were. As I write this report thunder and lightning are crashing around my house and it is raining. When I called Burt at Hook ‘em and Cook ‘em he said the sun was out down there. He also told me the head boats had flounder and bluefish. 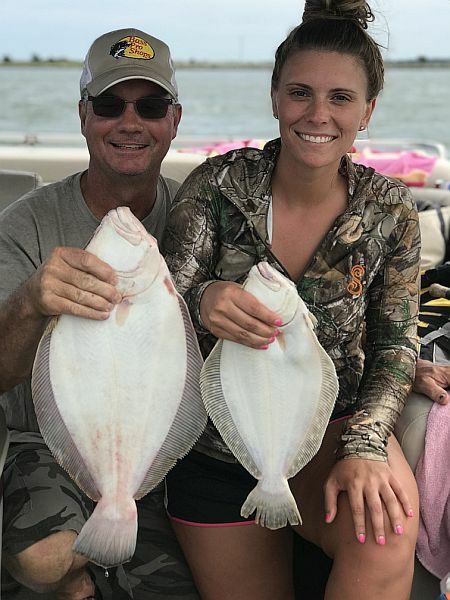 One boat fished the Del-Jersey-Land Reef catching flounder and sea bass until the bite shut off. Amanda told us the Lewestown Lady had some small blues out of the bay. The long weekend is shaping up pretty good. There will be thunderstorm about, but the overall marine forecast is promising. It’s going to be a bit bumpy on the ocean Saturday morning, but Sunday and Monday look good. The reef sites in Delaware Bay should provide some good fishing for croaker, blues, spot and the occasional flounder. Keep your tackle light and your hooks small for maximum sport. Shore based anglers can fish from the fishing pier on Cape Henlopen State Park for croaker and spot. Surf fishermen may find some one to three-pound blues along the beach.